Sharon Heights Park has neat little climbing trees, with a few other unique playground elements. North Karen Acres Park has a cute pirate ship shaped playground and other sports options. Murphy Park has lots of playground elements and lots of trees. 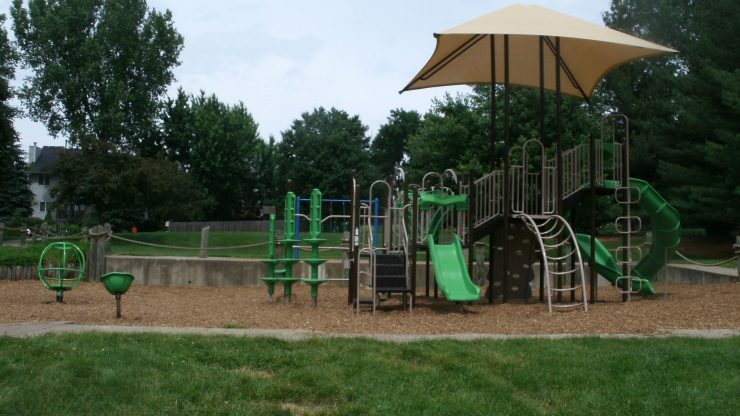 Hallbrook Park is a larger park, with two playsets and lots of open green space. Cross Creek Park has a fancy new playground with unique elements, along with public art along the trail.